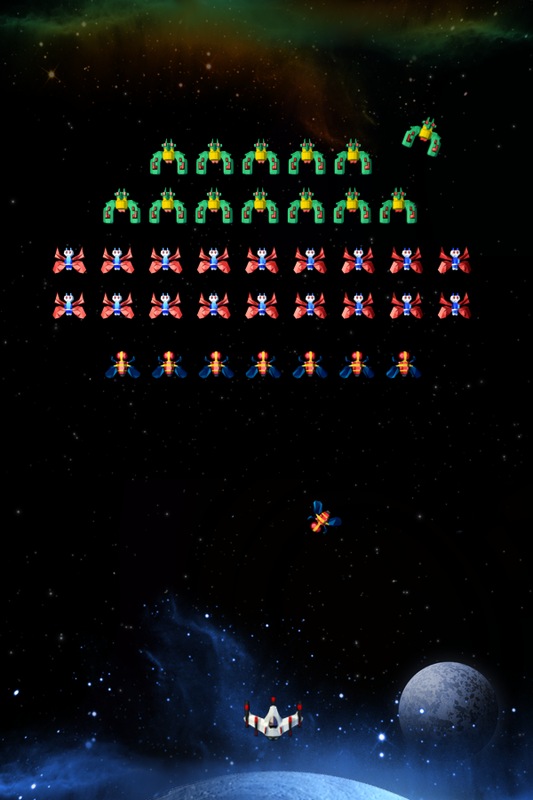 One of the best games ever made... We played hours with this game and for the novice programmer its a nice little game to make! 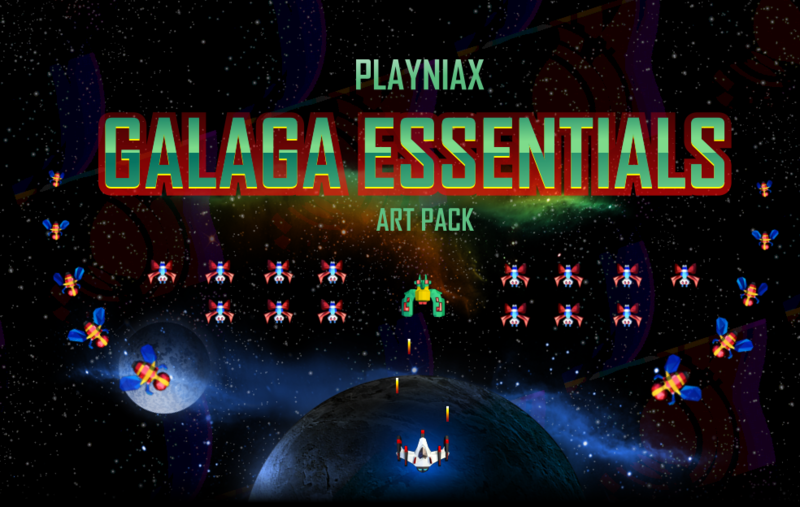 So we made this little galaga essentials art pack with all you need to create your own take on this masterpiece! Credit/attribution is not mandatory, but appreciated. To credit us : "Galaga Essentials Art Pack" by Playniax. The assets can be used for commercial project. Asset may be modified. Modified versions must be plainly marked as such, and must not be misrepresented as being the original. The assets can be used for 1 title. The asset itself cannot be shared freely or (re)sold!